Mark Zuckerberg, the CEO of Facebook, ranked No.1 on the list recently released by billionairesaustralia.com, a famous website in Australia. Although some of the billionaires inherited huge fortunes from their parents, the majority of them earned their wealth themselves. The billionaires on the list are all under 35 years old and have a net wealth of more than US$1 billion. Thirty-one-year-old Andrew Houston (Drew Houston) is the founder and CEO of Dropbox, a well-known internet company focusing on online backup and cloud storage services. Founded in 2007, the value of Dropbox exceeded US$10 billion. They may be young, but they have already achieved unbelievable things. 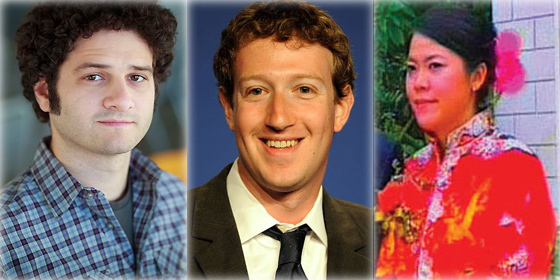 So who are the youngest billionaires in the world in 2014?